Books over Brunch: Start with Why | Junior League of Tucson, Inc.
December 5, 2015, 10:30 a.m. – 12:00 p.m.
Come join us for our first Books Over Brunch to get some answers! 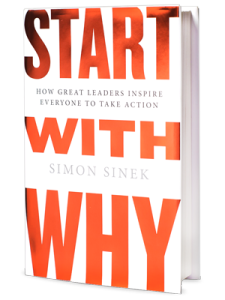 Pick up a copy of Start with Why: How Great Leaders Inspire Everyone to Take Action by Simon Sinek on Amazon Smile and give back to the JLT. We will have an open discussion over brunch on December 5th at 47 Scott. Please sign-up via Digital Cheetah to participate. If you have any questions, email Alaina Krone at alainafg@gmail.com. In this book, Sinek draws on a wide range of real-life stories and weaves together a clear vision of what it truly takes to lead and inspire. We hope you come to brunch with questions and comments about the book and what it means to be a leader. The Leadership focus will have three Books Over Brunch throughout the year, each covering a different book. Common Reads is a new initiative through the Training Committee this year. Both the Leadership focus and Life focus have identified books that will provide an opportunity to learn and connect with other JL members. After reading each book there will be a guided discussion at Books Over Brunch. Through reading a book and participating in Books over Brunch you will receive one training/meeting credit. We recommend buying your books through Amazon Smile so the League receives a portion of your purchase. Amazon Smile has the same shopping experiences of Amazon.com, but with the option to donate a portion of your purchase to a charitable organization of your choosing. If you have not selected the Junior League of Tucson as your preferred charitable organization, click on the link above, and search for Junior League of Tucson, and link JLT to your Amazon account. For eligible purchases at Amazon Smile, the Amazon Smile Foundation will donate 0.5% of the purchase price to the customer’s selected charitable organization – so make sure to add JLT to your account!